Our projects cover a wide variety of design disciplines and our versatility is best appreciated by spending a little time to look over our portfolio below. All project work is performed directly in-house by our resident designers, which guarantees the same attention to detail to all aspects of a project. We do not subcontract design work overseas or anywhere else! We are proud to be able make this statement! Specialising in high quality Equestrian and County Wear, Equiemporium is not an ecommerce retailer but adopts a more personal and traditional approach where the customer is key and their motto is "Service is Priceless". We needed to create a website to reflect this ethos and give their customers an online experience where they could view "Styles" and "Looks" before visiting the showroom or trade stand for a personal shopping experience. This site is fully responsive and optimised for all platforms i.e. desktops, tablets and mobiles. Global Scaffold specialise in the design and build of bespoke access platforms and scaffolding hire. They wanted to create a separate bespoke website for their Scaffold Hire and Erect Service which would appeal to both the domestic and commercial markets. The look and feel had to be consistent with the company's new livery. The site includes a bespoke CMS to manage the product image galleries. This "fully responsive" mobile-friendly website for an industrial adhesives company was designed by us to complement the new company livery and literature. This project was to create a showcase site for a Live Music and Cocktail bar in the picturesque Lymm village. The site features a custom CMS for self-management of events and selected areas. We don't just design websites for larger companies, we are also happy to work with smaller businesses to create an affordable, well designed web presence. Oak Specialist Joinery needed a platform to showcase their work to prospective clients . We designed a simple 3 page website with a gallery to organise photographs of completed projects into categories in order to show examples of what Oak Specialist Joinery have produced and to demonstrate their areas of expertise, which gives new clients confidence in using the company for their projects. The brief for this Professional Broadcast Solutions manufacturer website was for a clean and modern appearance in line with current market trends and a custom CMS for self-management of selected areas. The site features interactive product zoom viewers and an interactive worldwide dealer finder. A range of illustrated international pricelists produced in several European languages. Source data was supplied as XL spreadsheets and processed/published using Adobe InDesign. Deployed as PDF via interactive multi-lingual CD. 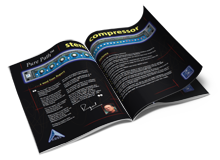 A full colour product brochure for a professional audio digital mixing system. 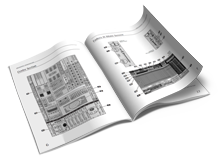 An illustrated software user guide for a professional audio fader automation system. 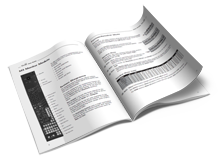 An illustrated operational user guide for a professional audio surround-sound mixer system. 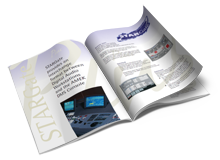 A full colour product brochure for a professional broadcast audio mixing system. 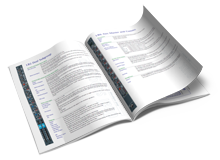 An illustrated operational user guide for a large-scale professional audio mixer automation system. 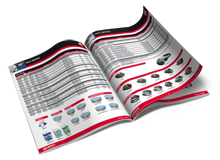 A range of colour brochures for a series of standard rack-mount professional audio products. Designed using Flash and 3DSMax to illustrate respiratory hazards and the various levels of protection offered by different types of respiratory safety products. Deployed worldwide via the web and as part of a multi-lingual interactive CD and also used internally as a staff and client training aid. 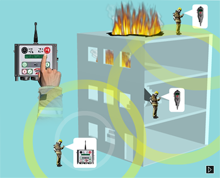 Designed using Flash and 3DSMax to demonstrate the active operation of a Firefighter Emergency Evacuation system. Language independent and deployed worldwide via the web and interactive CD and also used internally as both a staff and client training aid. Designed using Flash and 3DSMax to create a web-based product selector interface to a PHP/MySQL database and custom CMS system. Users can rotate generic vehicle types, choose door locations and get a list of compatible security products that can be fitted there. 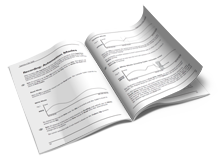 Full product details are displayed with a datasheet print option. Designed using 3DSMax to create product visualisations working from original 2D floorplans. 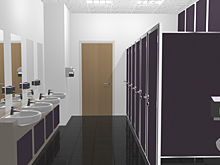 The virtual washroom scenes show original client products modelled to scale and include a bespoke cubicle system, hand dryers, soap dispensers, taps and complete integrated wall-mounted washstations. 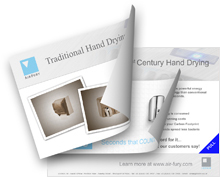 Designed using Flash to illustrate the impact of paper hand towel waste on the environment. Deployed worldwide via the web in several European languages. Interactive PDF with several "rip-off" layers exposing a sequence of messages. Deployed via email campaign and produced in several European languages. To view: download this ZIP file and open the PDF with Acrobat Reader locally.